​Gently exfoliates as it improves skin's texture. Formulated with personalized botanicals for your skin type and contains an antioxidant-rich botanical complex. Taking care of your skin should be tailored to you and your budget. 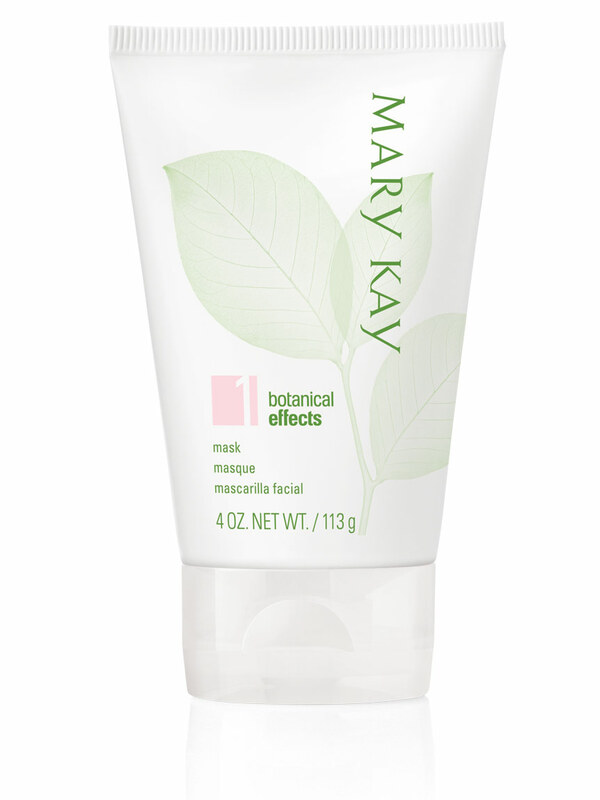 Botanical Effects® Mask for dry skin gently removes impurities while revitalizing skin, gently exfoliates as it improves skin’s texture and replenishes hydration so skin looks smooth and feels renewed. The mask is part of the Botanical Effects® Skin Care Collection – a simple regimen infused with the goodness of botanicals that are personalized to your skin type to bring out skin’s healthy radiance. Plus, Botanical Effects® Skin Care has an antioxidant-rich complex featuring Silymarin (milk thistle) and Luo Han Guo (known as the “longevity” fruit) to help defend against environmental damage and help promote healthy skin. Botanical Effects® Skin Care even has a sensitive side – those with sensitive skin also can share in the beauty of its botanical benefits. Botanical Effects® Skin Care is hypoallergenic and free of fragrance and synthetic dyes. Plus, the packaging is gentle on the environment. Simply apply after using Botanical Effects® Cleanse for dry skin and follow with Botanical Effects® Hydrate for dry skin. The exclusive complex in Botanical Effects® Hydrate for dry skin includes two nourishing botanicals that benefit all skin types. Silymarin, also known as milk thistle, is a powerful antioxidant that helps defend against environmental damage while helping to calm and soothe skin. Luo Han Guo, also called the “longevity” fruit, is known to contain potent antioxidants and also is believed to help promote healthy skin. Sea Kelp Extract: important for moisturization – A type of sea algae, sea kelp is known as a source of vitamins, minerals and fatty acids important for moisturization and skin balance. The personalized botanicals in Botanical Effects® Mask for dry skin deliver holistic benefits to help restore skin’s natural balance.